Draw Reveals Groups for the 2018 CONCACAF Under-20 Championship! Home / International Football / Americas / Draw Reveals Groups for the 2018 CONCACAF Under-20 Championship! The Confederation of North, Central America and Caribbean Association Football (CONCACAF) conducted the official draw for the 2018 CONCACAF Under-20 Championship, at the CONCACAF Headquarters, in Miami, FL. 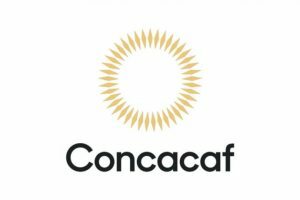 The 2018 edition of the Under-20 Championship, scheduled to take place November 1-21, 2018, at the IMG Academy in Bradenton, FL, will be disputed between a record number of 34 CONCACAF Member Associations. Unlike the previous format, which included regional qualifiers in the Caribbean and Central America and one final championship, this year’s redesigned competition will ensure that all the participating teams have access to play more top-level football matches. The event, which sorted the participating teams into four groups of six teams and two groups of five teams, was conducted by CONCACAF Head of National Team Competitions Carlos Fernandez. As previously announced, the top six ranked teams in the newly announced CONCACAF Men’s Under-20 Ranking – United States, Mexico, Honduras, Panama, Costa Rica and El Salvador – were seeded into position 1 of Groups A, B, C, D, E and F respectively. The remaining 28 teams were placed into five pots and drawn using a single blind system. In the last edition of the CONCACAF Under-20 Championship in Costa Rica, the United States overcame Honduras in the final, to win its first men’s under-20 title. Previous India U-16 keeper Lalbiakhlua Jongte idolises Manuel Neuer! Next AIFF receives enthusiastic number of applications from Baby League operators!